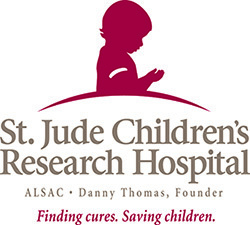 St. Jude Children’s Research Hospital®, founded by the late entertainer Danny Thomas, is one of the world’s premier centers for the research and treatment of pediatric cancer and other deadly childhood diseases. St. Jude is the first and only National Cancer Institute-designated Comprehensive Cancer Center devoted solely to children. Children from all 50 states and from around the world have came through the doors of St. Jude for treatment, and thousands more around the world have benefited from their research. At St. Jude, they speed their research discoveries from their laboratories to patients and doctors everywhere, so one child saved at St. Jude means thousands more saved worldwide. And no family ever pays St. Jude for anything. Working together under one roof, St. Jude’s physicians and scientists have pioneered treatments that have helped push the overall survival rates for childhood cancers from less than 20 percent when the hospital opened in 1962 to 80 percent today. The survival rate for the most common form of childhood cancer, acute lymphoblastic leukemia, has risen from just 4 percent in 1962 to 94 percent today. And St. Jude is also making a difference in the fight against other pediatric catastrophic diseases. In addition to childhood cancers, illnesses such as sickle cell disease, blood and bone disorders, genetic diseases, and pediatric HIV/AIDS are among those treated at St. Jude. There is no place like St. Jude. A place where some of today’s most renowned researchers are published and cited more often in high impact publications than any other private pediatric oncology research institution in America. A place where doctors send many of their sickest patients and toughest cases. A place where cutting-edge research and revolutionary discoveries happen every day. St. Jude’s laboratories may not be in your communities, but their discoveries are. One in four children live in poverty, we think even one is too many. The Family Partnership was founded in 1878, to stop the mistreatment of children, and respond to the fallout from poverty. The Family Partnership envisions a Twin Cities where all children and families have the opportunity to succeed and realize their full potential. The Family Partnership combats the effects of poverty and creates brighter futures through three service areas; Counseling, Advocacy and Education. The Family Partnership is one of the longest-serving nonprofits in the Twin Cities and helps the community’s most distressed children and families to overcome crises and serious challenges, heal from trauma, gain new skills and life directions, and achieve a better future. The Family Partnership works across the metro area from 6 service centers in urban & suburban neighborhoods but also goes when and where they are needed; to homes, shelters, food shelves, schools, faith communities, jails and prisons. COUNSELING: Professional mental health therapists provide individual & family counseling; therapy groups for girls, boys, women & men; children’s play therapy; and in-home counseling. This improves well-being for people in troubling times. Multicultural, multilingual therapists help people heal and move ahead from child abuse, domestic violence, sexual exploitation, and trauma. The Family Partnership helps people manage disorders, chemical recovery, and the stress of lifetime poverty. The Family Partnership helps maltreated infants regain positive attachment; children and teens change damaging behaviors, move on from delinquency, and turn around failing school performance. EDUCATION: The Family Partnership serves high-risk kids age 16 months to 18 years old. For toddlers and preschoolers, The Family Partnership offers multicultural, bi-lingual therapeutic preschools in inner-city neighborhoods, where they reverse the impacts of poverty and trauma, and advance children’s delayed learning. The young children served by The Family Partnership have developmental delays, and they provide therapies such as speech/language, occupational, physical, and neurological music therapies to help brains and bodies grow strong. Parent education and supportive services increase family stability and enhance child-rearing skills. The Family Partnership offers enrichment programs for older children and youth who are experiencing challenges in school and in life. The Family Partnership provides three, six, and nine-month coaching to help youth improve behavior, academic performance, school attendance, and build life skills for ongoing success. They also operate youth leadership programs that prevent teen pregnancy, spark youth leadership and community service, and inspire teens for a better future. ADVOCACY: The Family Partnership works to get people out of poverty by helping struggling families gain access to jobs, training, and housing. Individual advocacy efforts help victims of sexual exploitation, abuse, violence, and bullying to get the help they need, and succeed on action plans for a safe, self-reliant future. Grassroots leadership training helps those in poverty discover undeveloped talents, and they create and lead projects that improve neighborhoods and solve community problems. The Family Partnership advocates at the legislature and with policymakers for policy changes and resources to support children and families. The Family Partnership offers support, resources and training for LGBTQ (lesbian, gay, bi-sexual, transgender and questioning) kids, their families and schools and offer several programs focused on violence prevention programming. The Family Partnership is here for anyone who needs our help. For more than a century, our commitment has never wavered from helping children and families in poverty and distress build brighter futures for themselves. You might be familiar with Cookie Cart’s delicious cookies, but Cookie Cart is so much more than just a bakery, it is an employment and training program located in North Minneapolis that provides teens with lasting and meaningful work, life and leadership skills. Through a combination of hands-on work experience, classroom job skills training, formal customer service education, skills certification and financial literacy, young people gain the tools they need to become successful, self-reliant adults. For more on Cookie Cart’s impact check out our website and for regular updates about what is going on go to our Facebook page. As a place of success, Cookie Cart’s impact is reflected in the young people that show up each week. At any given time, 50 to 75 youth take part in after school and summer “hands on” experiential employment and classroom-based training focused on “soft skills” needed to find and keep employment. In 2012, Cookie Cart will provide over 20,000 hours of paid youth employment and training for 140 teens making it the largest year-round employer of teenagers on the north side of Minneapolis. Earn as you learn is the philosophy that offers young people the opportunity to gain job-readiness skills, employment experience and proficiency certification while making a modest wage. Focusing on building real-world skills and competencies, Cookie Cart is driven by its mission, not sales. We offer a positive learning environment that cannot be matched by any profit-driven enterprise. Supervisors are teachers, and teaching takes priority over cookie production. Mistakes are treated as learning opportunities, and all lessons are given in the context of how things will work at traditional jobs. Support, hope and a safe haven for neighborhood kids are the concepts that Cookie Cart was founded on when in the early 1980’s Sister Jean Thuerauf who lived and served in North Minneapolis, recognized a need to get young people off the streets away from gangs and crime. She invited the neighborhood’s youth into her home for help with schoolwork and to learn to bake cookies. Eventually, so many showed up that they no longer fit in her small kitchen. In 1988, her vision of a safe, secure engaging place for neighborhood youth was formalized as Cookie Cart moved to the heart of North Minneapolis on West Broadway Avenue. Today, Cookie Cart is a leading youth development program, having positively impacted thousands of teenagers over it 30 year history – propelling them forward to lead positive and prosperous lives. Cookie Cart’s impact is growing. Our dream is to triple the number of youth employment and training hours by 2015. Join our efforts to reach out to even more young people and give them the hope for their future. Find out more on our website at http://www.cookiecart.org/and become one of the many who are working to create a world with Good Cookie Karma. Innovative Office Solutions is the proud sponsor of the Minnesota Wild Charity of the Month program for the fourth consecutive year. This program brings exposure to Minnesota charities, once per month throughout the NHL season. Canvas Health is dedicated to bringing hope, healing, and recovery to people’s lives. Each year Canvas Health programs serve more than 8,500 children, adolescents, adults, and elderly challenged with debilitating aspects of mental illness, chemical misuse, aging, or physical and sexual abuse. Crisis Connection answers more than 42,000 calls annually from individuals in crisis and needing help. Canvas Health professionals will ask you how you’re feeling and evaluate the best option; medications are not always the first choice for clients. Through a comprehensive assessment, Canvas Health will determine the options that make the most sense for you. Canvas Health’s experienced team of psychiatrists and psychiatric nurses are equipped to meet the needs of all populations – from early childhood to adolescent to adult. They provide evaluations for medication and medication management and provide consultations for other providers. At times in one’s life – whether caused by life experience or a biological imbalance– one’s perspective can become tainted, blurred or distorted. The purpose of counseling is to help you cope with the challenging situations that arise in life, and to help you live the life you’d like to create. Canvas Health does this by listening to you, supporting you, inspiring you, and referring you to whatever resources you may need. Canvas Health offers a broad range of counseling services and treatment to children and adults, including individual, family, and group therapy. Canvas Health does full screenings and assessments, and provides case management to ensure that nothing is missed. Access to psychiatry, psychological testing, and crisis services provide clients with a comprehensive and individualized team of treatment providers should the need arise. Canvas Health provides substance abuse treatment in a variety of forms and settings for adults and adolescents which includes group, individual and family counseling. All members of the Canvas Health staff are licensed alcohol and drug counselors, and are available to evaluate and help manage chemical use problems. Canvas Health provides Rule 25 assessments, educational programming, relapse prevention and housing programs, offering a broad spectrum of resources to their clients. A wide array of services provided by Canvas Health help support the needs of those with mental illness, assisting them with the practical necessities and means to improve the quality of their lives. Services include transportation, housing, vocational assistance and coordination services. 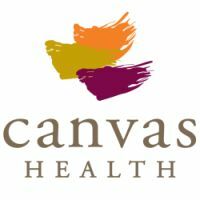 Canvas Health offers services in the home, in schools, in the community, and through their offices. Charity of the Month – A success story! I was attending the Minnesota State Fair this year, and it happened to be on military appreciation day. I ran across the booth for Defending the Blue Line, a charitable organization that was a Charity of the Month in our program for the 2010/2011 MN Wild season. Defending the Blue Line is a 501 (c)(3) non profit organization created by soldiers with the spirit of keeping hockey alive for the children of our nations military heroes. They accomplish this by providing free equipment, hockey camps, special events and financial assistance for registration fees and other costs associated with hockey. “….after being selected for the charity of the month program last season, Defending The Blue Line has experienced tremendous growth. We have since been featured on NBC Nightly News with Brian Williams, countless regional tv and radio outlets around the United States, and now the NHL Network will be airing public service announcements for us world wide this season. 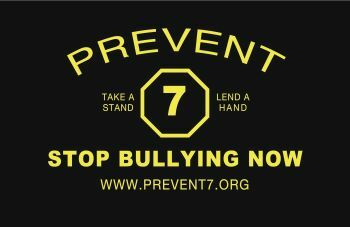 DTBL will also be a featured non profit on aol.com in October 2011. We have taken a great idea locally here in Minnesota, and with the help of great partners like Innovative Office Solutions, the Minnesota Wild, and several others, are now expanding nationally to better serve military kids across North America. Our long term goal is to become the one stop shop for military families to keep their kids healthy and active in sports while their parents are serving our country. We have had some great successes so far on the hockey front, and will continue to forge ahead with the help of our strong volunteer and corporate partner base. As President and Founder of Defending The Blue Line I am very grateful for Innovative’s involvement in sponsoring the “Charity of the Month” program with the Minnesota Wild. The program was key in building our exposure which has directly lead to better benefits for some deserving military kids and families. I am also a 22+ year military service member, and it is great to see businesses like Innovative step up to help despite the continued challenging economic times. We are incredibly excited to learn of the success of Defending the Blue Line as they and other Charity of the Month honorees work to serve those in need and strengthen our community. Minnesota Wild Charity of the Month – Hope, Inc. Innovative Office Solutions is the proud sponsor of the Minnesota Wild Charity of the Month program for the third consecutive year. This program brings exposure to Minnesota charities, once per month throughout the NHL season. The September Charity of the Month is Hope, Inc.
Their mission is to provide sporting and recreational opportunities for children and young adults with mobility challenges and their families. In September 2006, HOPE implemented a year-round sports and recreation program for children and young adults ages 2-23 who have mobility challenges. Hope, Inc. provides extra adaptive sports equipment so that siblings, parents and friends can participate seated and play too! Some of their goals include: increase physical fitness, self-esteem and self-confidence. They help teach communication, social skills, sportsmanship and teamwork in a fun, energetic and encouraging environment. Hope, Inc. relies on the generosity of individual, corporate and service organizations to carry out their mission.